Changes in the timing of streamflow reduce water supplies for competing demands. Sea level rise, erosion, inundation, risks to infrastructure, and increasing ocean acidity pose major threats. Increasing wildfire, insect outbreaks, and tree diseases are causing widespread tree die-off. Explore how climate change is affecting the Northwest. 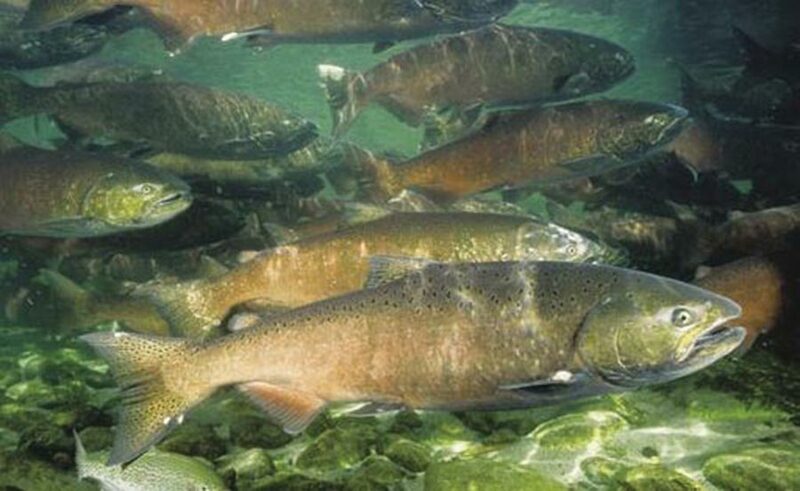 Rising summer temperatures and changing water flows threaten salmon and other fish species. Seasonal water patterns shape the life cycles of the region’s flora and fauna, including iconic salmon and steelhead, and forested ecosystems.13 Adding to the human influences on climate, human activities have altered natural habitats, threatened species, and extracted so much water that there are already conflicts among multiple users in dry years. As conflicts and trade-offs increase, the region’s population continues to grow. Particularly in the face of climate change, the need to seek solutions to these conflicts is becoming increasingly urgent. In Washington’s Nisqually River Delta, large-scale estuary restoration to assist salmon and wildlife recovery provides an example of adaptation to climate change and sea level rise. 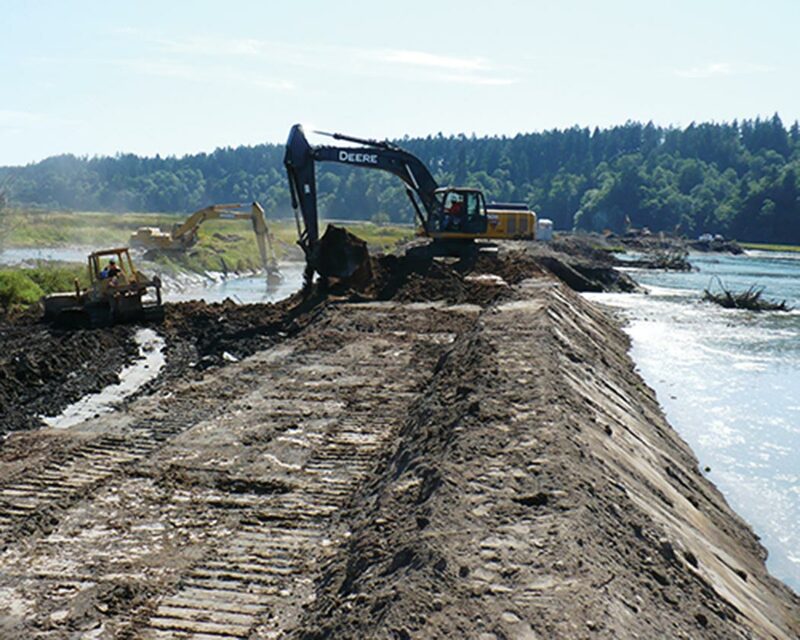 After a century of isolation behind dikes, much of the Nisqually National Wildlife Refuge was reconnected with tidal flow in 2009 by removal of a major dike and restoration of 762 acres, with the assistance of Ducks Unlimited and the Nisqually Indian Tribe. This reconnected more than 21 miles of historical tidal channels and floodplains with Puget Sound.9 A new exterior dike was constructed to protect freshwater wetland habitat for migratory birds from tidal inundation, future sea level rise, and increasing river floods. 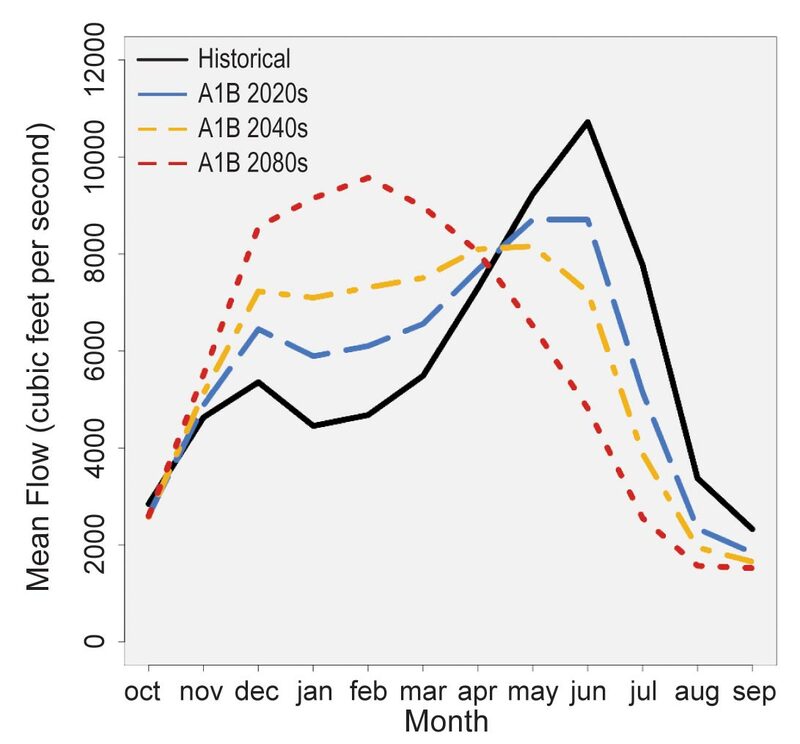 Observed regional warming has been linked to changes in the timing and amount of water availability in basins with significant snowmelt contributions to streamflow. By 2050, snowmelt is projected to shift three to four weeks earlier than the last century’s average, and summer flows are projected to be substantially lower, even for a scenario that assumes emissions reductions (B1).8 These reduced flows will require trade-offs among reservoir system objectives,14 especially with the added challenges of summer increases in electric power demand for cooling and additional water consumption by crops and forests.